This book expands the Afrocentric praxis presented in the authors’ "Re-membering" History in Teacher and Student Learning by combining "re-membered" (democratized) historical content with emancipatory pedagogies that are connected to an African cultural platform. "A great book! Carefully thought out and developed. It will be easy for teachers to follow and to learn." "An important and foundational piece in the field, this book is impressive, timely, engaging, and much needed. 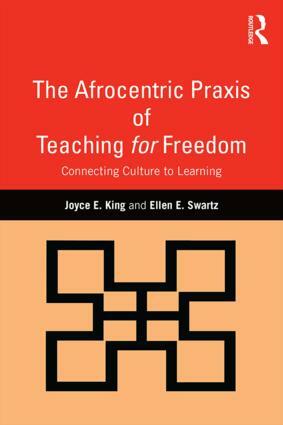 It is at once ‘deep’ and understandable, advancing both theoretical and practical understandings of Afrocentric praxis. I am smiling as I write this and activated to use and build on this brilliant work." "King and Swartz demonstrate how to teach content based on Afrocentric theory and African worldviews in ways that result in a more holistic and historically accurate presentation of people of African descent and related events. This will not only reconnect African American children to their heritage knowledge, but will elevate and deepen all students’ understanding of people of African descent." Joyce E. King holds the Benjamin E. Mays Endowed Chair for Urban Teaching, Learning and Leadership at Georgia State University, USA. Ellen E. Swartz is an independent scholar and education consultant in curriculum development and the construction of culturally informed instructional materials for K-12 teachers and students.